A mid-century inspired house with abundant natural light and connected to the outdoors. 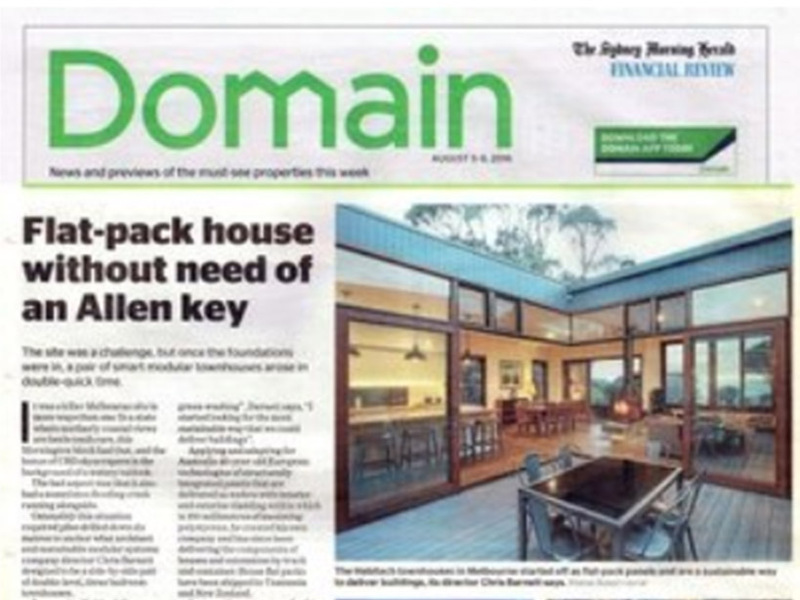 The clients and the designer shared a common appreciation of modern Australian architecture. Stylistic inspiration was taken from the client's reference images of modern masterpieces that included homes by Grounds, Boyd and Seidler. We sought to achieve a simple compositional form with a strong horizontal line framing a clearly defined entrance via the classic suburban car port. The spirit of the design echoes the aspirational images of classic Melbourne suburban homes with healthy young families under blue skies with shiny new cars. 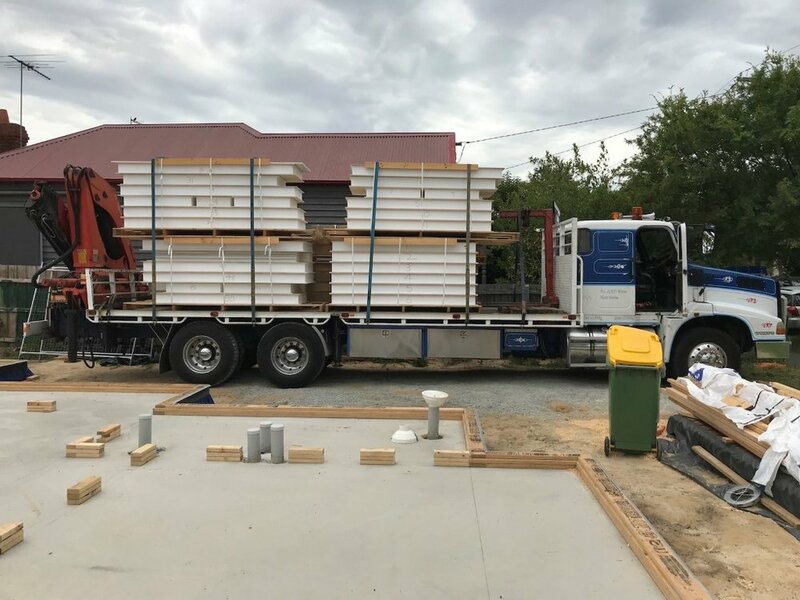 In this re-interpretation there will not be an iconic local model Ford or Holden car in the car-port but a modern electric vehicle and bicycles that will be powered by a substantial roof mounted solar array. The owners have been living locally and wanted a house that belonged on this site and befits the neighbourhood. The design had to respect the streetscape and retain the two large trees in the garden. The whole house was to be as connected to the outside as possible and filled with light. 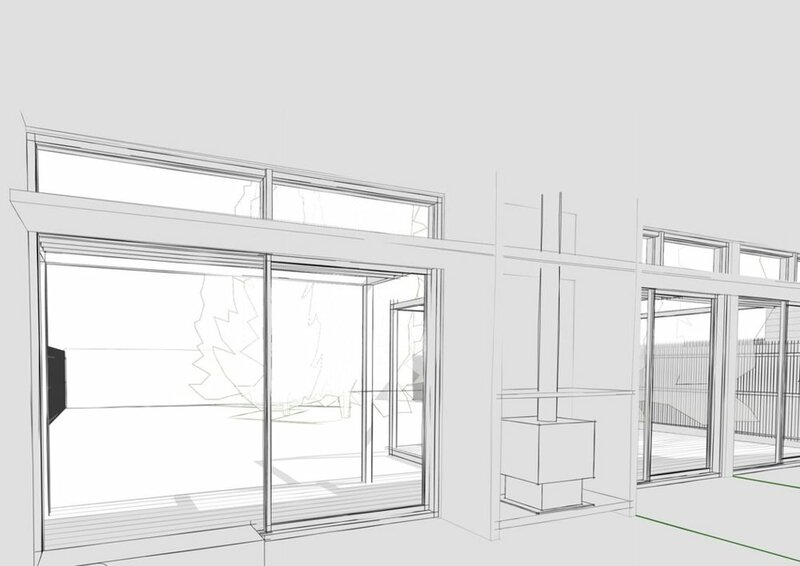 Initial conceptual sketches identified a courtyard plan as option that would provide zoning of family spaces with glimpses through the plan and out to the gardens and trees. This approach resonated with the clients wishes and we developed this concept from a sketch into a simple cost effective form and rational plan. 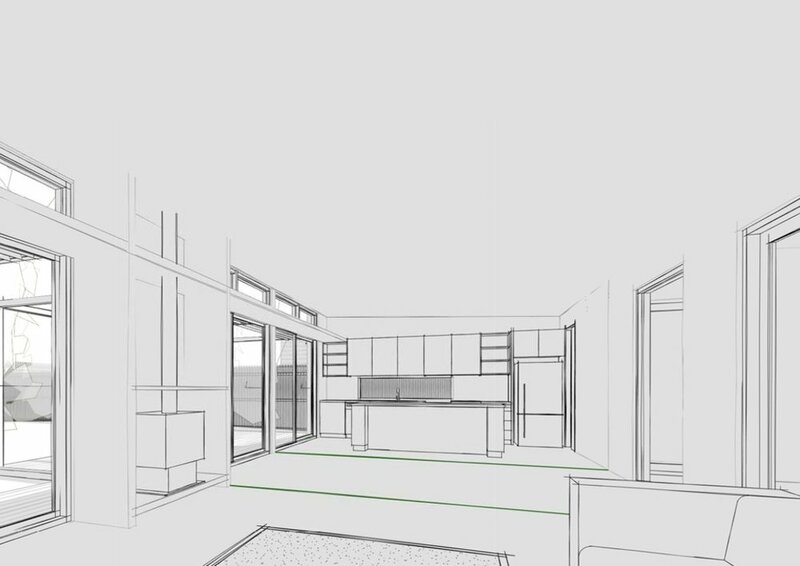 True to the aspirations of mid-century designs the house will integrate the available technologies to improve the owners comfort and well being. 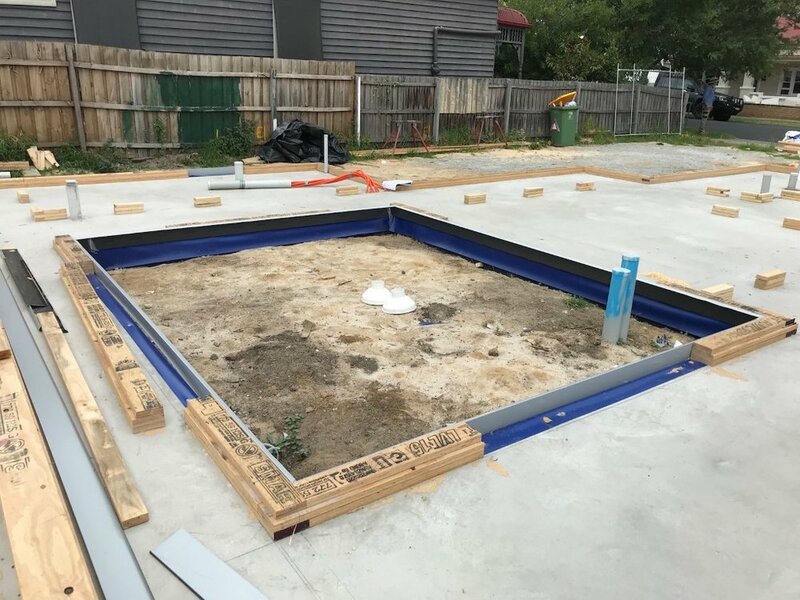 The integrated technologies and highly efficient building envelope should ensure a family home that is future proofed by being energy and cash-flow positive. 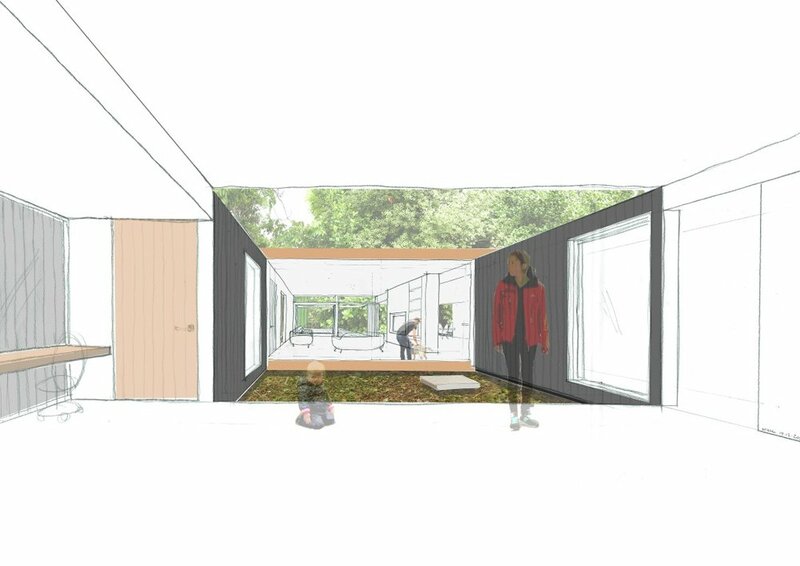 Designing the maximal floor plan to provide spacious family interiors connecting to gardens whilst protecting the footprint of two large trees in the rear garden. The house was designed around a courtyard to maximise light, views and connections to nature and between family spaces. • Every living space receives North light. • Highly insulated roof, walls and hydronic screed floor.